Wallpaperdirect is the leading online wallcoverings store, built on the expert experience and resources of Brewers, the UK's leading independent decorator's suppliers, with more than 146 UK stores and over 100 years experience in the business supplying wallpaper, paint, decorating supplies and fabrics to the most demanding professional decorators and homeowners alike. We've been supplying equally discerning customers in the USA from our UK site since we launched Wallpaperdirect online in 1999, and now we're open for business with a new American company Wallpaperdirect Inc with a dedicated team in Tennessee. We stock more than 4,500 different wallpaper patterns and carry samples of over 11,000 different wallpaper samples. We ship hundreds of parcels around the world every day, and thousands of samples each month. We are on hand to help you with your queries, so novice or professional you've found the right site. 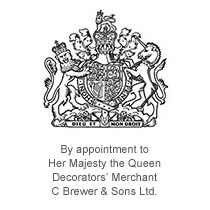 Wallpaperdirect was launched in 1999 by C. Brewer & Sons Ltd, who are one of the UK's longest established decorators' merchants, established in 1904, Brewers holds the Royal Warrant for the supply of decorating materials to The Queen. Still a family run business we have a wealth of advice and experience freely available. 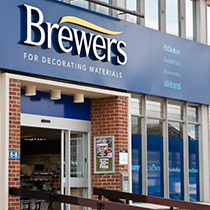 Visit www.brewers.co.uk to find out more about the company and our heritage.